"I felt like somebody had left the room, turned the lights off and closed the door, and I was in there all by myself." AUSTIN, Texas — For Map Pesqueira, the dream was to serve his country while getting an education. "It was just a happy medium that I was able to go to school and also pursue a military career," said Pesqueira. "I knew that I wouldn't have to bury my identity to serve my country." Pesqueira is a transgender man who started medically transitioning in 2018. 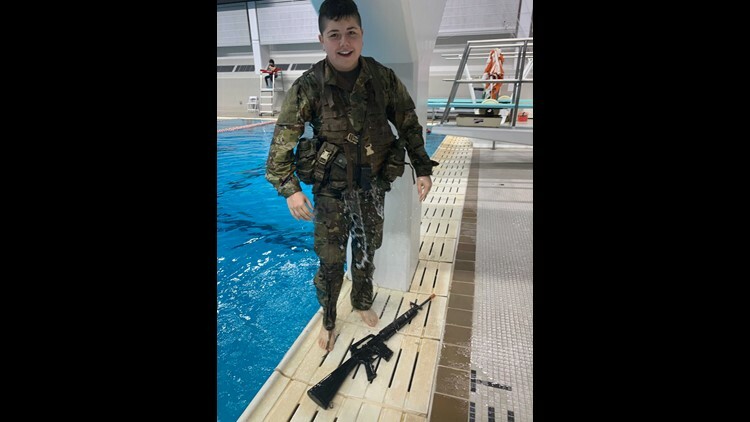 In his senior year of high school he was awarded a three-year Reserve Officers' Training Corps (ROTC) scholarship, meaning he'd only have to pay out of pocket for his freshman year. This made going to the University of Texas at Austin affordable for him. 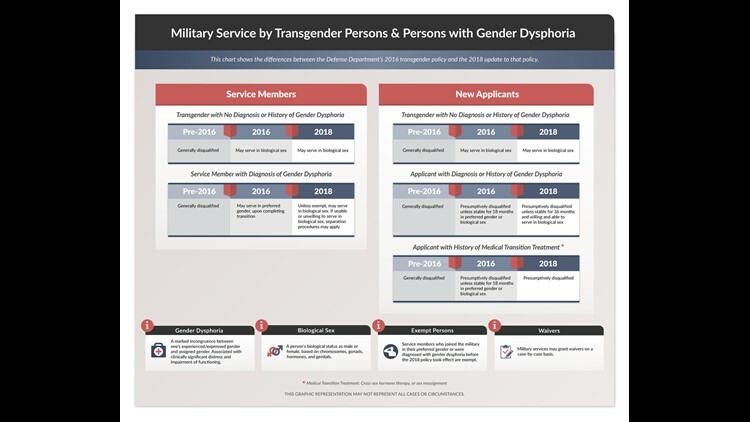 This all changed recently because of the United States Department of Defense's new policy on military service by transgender persons and persons with gender dysphoria. The new policy restricts people in the same scenario as Pesqueira from serving in the military. "I'm well into my medical transition," said Pesqueira. "People that far into that transition are disqualified, and so I'm not able to be grandfathered in because I'm held to the new standard." According to the Defense Department, a 2016 survey indicated that 8,980 active duty service members were self identified as transgender. When President Donald Trump originally announced the policy in 2017, he tweeted his reasoning, saying our military could not "be burdened with the tremendous medical costs and disruption that transgender in the military would entail." Pesqueira says his professor of military science at UT tried to salvage the scholarship. "Strides were made on the other side in the military by him to see if he could get it let through under the old policy but unfortunately it wasn't possible," said Pesqueira. He said the news the scholarship wouldn't be saved was frustrating. "I felt like somebody had left the room, turned the lights off and closed the door and I was in there all by myself." Since Pesqueira's story was revealed, more than 28,000 people have signed a petition asking UT for a scholarship for Pesqueira. Whether that happens is unclear. In a statement the university said it can't comment on individual students. "We want all of our students to be successful at UT Austin and we are committed to helping them make this a reality. Due to federal privacy law, the university does not comment on the cases of individual students. Because every student situation is unique, we offer many different avenues of assistance for students who undergo sudden changes that might affect their access to a UT education. These resources include our Student Emergency Services office and the Graduation Help Desk, which both work closely with the Office of Scholarships and Financial Aid. Our staff are experienced in these situations and stand ready to help students navigate the resources they need to complete their education." For now, he's just thankful for his friends and family who he says have been nothing but supportive and wants other people in his situation to know that it's not their fault. "You can't deny your own identity," said Pesqueira. Pesqueira will finish this semester at UT where he's a double major in Film/Radio/TV and American Studies. He says he will likely look for a community college in his home town of San Antonio.